2.0 (2 Point 0) is an upcoming Indian mega budget science-fiction film and a sequel to 2010 Blockbuster movie Enthiran (Robot). Directed byShankar, 2.0 stars Superstar Rajinikanth andAkshay Kumar in the key roles. 2.0 is not only the biggest, but also the most costliest film of Indian cinema till date. It was directly shot in 3D and later the makers have converted it into 2D. The movie will be released in Tamil, Hindi, Telugu and Malayalam. Scroll down below to get details about2.0 Movie Story Plot, Budget, Release Date, Cast and Crew, Trailer. 2.0 is a sequel to Robot (Enthiran) but 2.0 Movie Story will not be a continuation of Robot. 2.0 features Rajinikanth in dual roles playing Dr Vaseegaran and Robot Chitti while Akshay Kumar plays a evil scientist Dr Richard whose experiment goes wrong and he becomes a crow mutant. Later Dr Richard becomes more evil and starts destroying everything. The government asks Dr Vaseegaran to reinvent his Robot Chitti, which was placed in a museum in the last scene of Robot (2010) movie. The rest 2.0 movie story is about how Chitti manages to finish Dr Richard and what circumstances he and the government have to face. 2.0 is the most costliest film in the history of Indian Cinema. 2.0 Movie Budget is whooping Rs 450 Crore which is much more than the Baahubali series. When 2.0 movie went on floors, it was allotted a budget of Rs 300 crore by Lyca Productions but the budget was later increased to Rs 450 crore to deliver a better quality. 2.0 Movie Release Date is yet to be announced by the makers but going by the current trade speculations, it is expected to be released in August this year. 2.0 was earlier scheduled to release on Diwali 2017 but later it was postponed several times to December 2017 and January 2018. 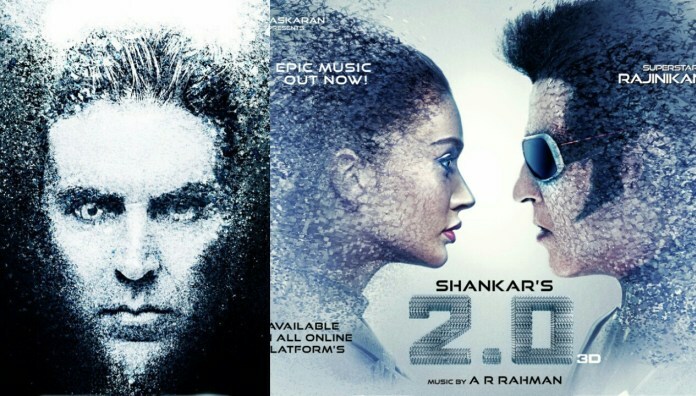 In February, the production house released a press note that 2.0 will hit screens in April but it has been postponed once again and the new release date is yet to be confirmed. 2.0 might release on August 15th to cash in the Independence Day weekend. Biography : Shankar is an Indian film director and producer who works mainly in Tamil cinema. He started his career as an assistant director to SA Chandrasekar and now he is the highest paid director in the country. He made his debut in Gentleman (1993) and since 2015 he has directed 12 movies. He won the CNN-IBN Indian of the Year 2010, in the Entertainment category. 2.0 Movie Trailer is expected to come out in July month, if the film releases in August month. The trailer will be high on VFX.